The candidates, who have completed their bachelor or master / MPhil degree in any field, they can go to Japan Fellowship program under one year paid fellowship by the provision of employment contract with Pasona Group, Japan. The applications are invited from the eligible candidates for Japan fellowship program with Pasona Group and this fellowship is provided by Awaji Youth Federation (AYF) and it is one of the newest and most promising projects of Pasnoa Group, which was established in 2017 in the surroundings of Awaji Island. AYF has the purpose to gather the future leaders and it provides the creative platform and the young innovators and designers come together through different cultures, backgrounds and disciplines. With the use of unique skills and the current specializations, they will get the new solutions to global issues through the study and collaboration. There are some of the fellows, who take part in this program and they will have the chance to get the in house training and valuable on the job work experience to increase the skills and capabilities through their active involvement in the new business projects and the convenience, which are operated by Pasona Group on Awaji Island. The AYF is providing the creative platform for next generation of young innovators and designers to come across different cultures, backgrounds and disciplines. They need to use different and unique techniques, skills and current specialization and they will find the new solutions to the global issues through the study and collaboration in four AYF fellowship stream. The fellows will commence in AYF in-house training program and they will get the valuable on the job work experience to increase the skills and capabilities through the active involvement in the new business projects and facilities, which are operated by Pasona Group on Awaji Island. After the completion of the program, the fellows will be considered eligible for the assistance from Pasona Group with new start up ventures or the future employment opportunities in Japan or abroad. Graduated with a Bachelors or Masters Degree. Strong both physically and mentally. Understood our unique program well. As a fellow of Awaji Youth Federation, Pasona Group Inc will give you employment and they will enjoy following benefits and conditions and the fee and government taxes are processed by Pasona. Includes basic breakfast, full buffet-style lunch, and dinner. Please note that a minimum level of TOEIC 800 or equivalent is required for non-native speakers. Send the above documents or any questions you have to info@awaji-youth-federation.com before August 31st, 2018 and refer to the Application Timeline (Here) for a more detailed schedule. 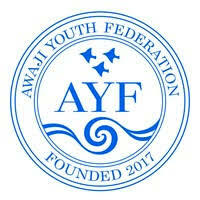 Send Documents to info@awaji-youth-federation.com Before August 31st 2018 and Refer the Application Here.